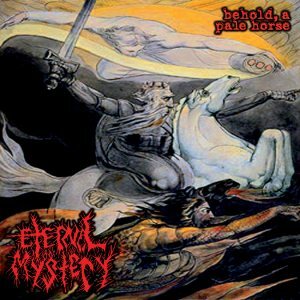 This is Eternal Mystery's second album as a grindcore band, and there are definite improvements from their first. First off, the microphone quality improved (with the exception of one or two songs). Just in case you didn't know, in their earlier days, Eternal Mystery used a combination of low gruggles and higher-pitched yells (similar to Gollum from Lord of the Rings). The thing in this album that really takes the cake is the instrumentation. Broc Toney has always been a great guitarist and drum programmer for any musical project, and this album is no exception. This album is no longer available from any distro to my knowledge (even Broc himself no longer has a copy). If you do, happen to find one though, do yourself a favor and buy it, especially if you're an Eternal Mystery fan.